The mill, which closed in May, putting more than 200 people out of work, has been sold to a "joint venture" of firms that hope to put the property back into use as an industrial site. 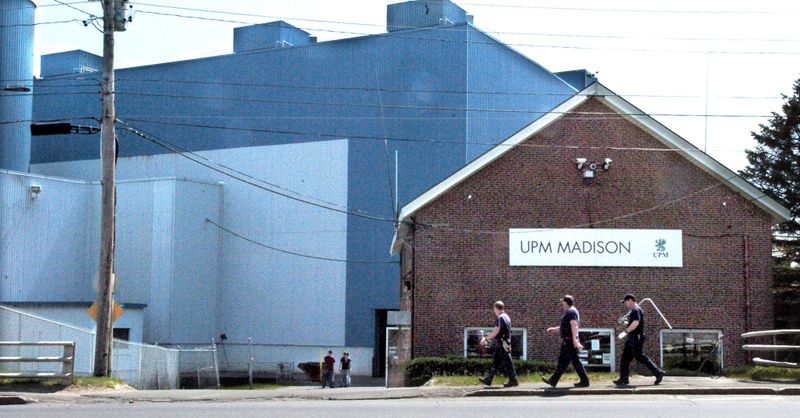 MADISON — Madison Paper Industries, which closed in May and put about 215 people out of work, has been sold to a buyer with plans to put the property back into use as an industrial site. The mill produced supercalendered paper used for magazine publishing and has been in Madison since 1978. It was producing about 195,000 tons of paper annually at the time the closure was announced earlier this year. The acquisition — which closed Thursday for an undisclosed price — includes the real estate of the main paper mill site as well as all mill equipment, according to a news release from New Mill Capital Holdings. Madison Town Manager Tim Curtis said the news is not all bad, despite the end of the town’s legacy of papermaking. He said he has had “very positive conversations” with Schain at New Mill Capital. Curtis said what Madison town officials know about the deal is that the site will not be redeveloped into a papermaking facility, but it will be redeveloped into “some sort of industry” and there are plenty of options to look at. The new owners plan to sell certain mill assets that are no longer usable on the property, as well as demolish some structures that are obsolete. Once that process is complete, the property will be re-marketed for alternative industrial uses. Given the site’s abundant supply of both power and natural gas, as well as a clear height of over 50 feet, the property is a uniquely attractive asset for a variety of heavy industries, Schain said in the release. “Our joint venture specializes in sales and partnerships that put idled industrial assets back to productive use, and that will be our primary focus here as well,” Leslie Amoils, president of Infinity Asset Solutions, said in a statement. Curtis said Madison Paper paid $1.5 million in taxes in 2016, including both the paper mill and equipment and the hydro-electric assets. The new ownership will continue to be on the tax rolls, but there will need to be a reassessment of the mill property and what’s usable personal property in April. He said it is too soon to say what the value for taxation will be. Once employing more than 18,000 workers at its height in the 1960s, Maine’s papermaking industry has lost more than 1,500 jobs in the last two years. There are just six operating paper mills left in Maine. Russ Drechsel, president and CEO of Madison Paper, said he, too, mourns the loss of the local papermaking identity. Drechsel said he is staying on to continue work trying to sell the hydro-electric assets. He said he is not looking at the option of staying on at the site for the long term. Drechsel said the company worked closely with the Maine Department of Environmental Protection on the closure and cleaning up the mill, and he expects to see the same cooperation with the transfer of permits. About 60 of the mill’s more than 200 former employees live in Madison, according to Curtis, who said the mill employed about the same number of people as Backyard Farms, a commercial tomato farm in Madison. The mill is also the town’s largest taxpayer, even after a $150 million drop in value in 2014. MPI, the town’s largest taxpayer, was valued at $80 million. Calls to the Maine Pulp and Paper Association for comment on the sale were not returned Friday. Sen. Rod Whittemore, R-Skowhegan, said Friday he did not know all the details of the sale, but from what he has heard, it is good news. Rep. Brad Farrin, R-Norridgewock, in House District 111, which consists of Madison, Norridgewock and Solon, said natural gas access to the mill was probably a good selling point. “Hopefully they can find some redevelopment,” Farrin said. “It’s always good news in our area if that’s what can happen. Hopefully, it’s a plan that can come to fruition. We’ve faced a lot of challenges in central Maine, and I do agree that the site with the natural gas accessibility is a very positive thing for an industrial user. One of the new owners, New Mill Capital, is a privately held investment firm specializing in the acquisition, management, development and adaptive reuse of commercial and industrial real estate across the country. The company’s primary services include ready-to-operate acquisitions of closed industrial plants, such as the Madison Paper mill. The company has acquired more than 11 million square feet of vacant plants since 2011, with the vast majority being put back to productive use, according to a company news release. Perry Videx has been at the center of the used-equipment world since 1932. Perry Videx has participated in dozens of projects in which closed manufacturing facilities were transformed into prospering industrial centers. Infinity Asset Solutions is one of the largest provider of disposition services in Canada and has a large presence in the United States as well, with clients including many large financial institutions and Fortune 500 companies.